Say goodbye to your eyelash curler! A lash lift and tint is a gentle service that uses cream solutions to permanently curl and tint your lashes. Results last 6-10 weeks depending on how quickly your lashes grow. 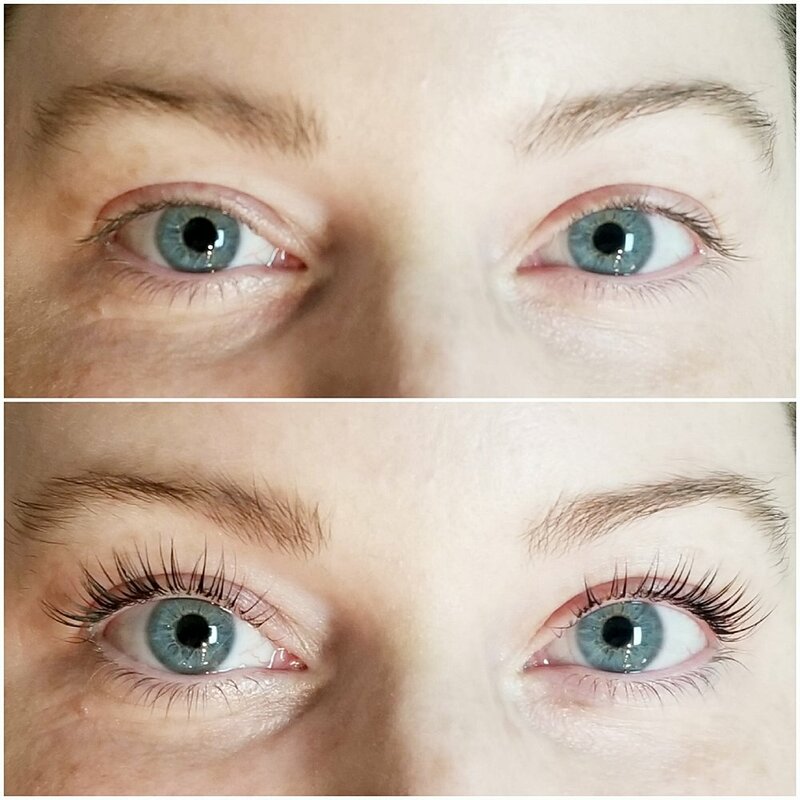 Unlike eyelash extensions, lash lifts are extremely low maintenance and require no aftercare. Appointment takes about an hour. For best results do not get your lashes wet for 24 hours following the service.